With innovation and discovery in every field possibly known to humankind, the field of professional audio is not far behind. You can record, edit, overlap, etc. the Audio files using some of the best digital mixers that are becoming more technologically advanced with each passing day. Digital mixers are electronic devices used to combine, change dynamics, route and for the equalization of the input audio signals, magnify or subtract the frequency of certain sound waves in an input. Usually, the recording studios use these digital mixer consoles for producing albums or any audio files, systems for addressing the public e.g. horn loudspeakers. Sound systems typically used in concerts or similar events, which are a combination of speakers, microphones, amplifiers and signal processors are all controlled by the digital mixers. They are also used in the field of film production; after production to be more specific. Digital mixers are used in stages after the actual production is finished in adding sound effects, overlapping sounds, enhancing voices of the actors etc. They’re also commonly used in television and radio broadcasts. What to Consider Before Buying the Best Digital Mixer for Recording Studio? Choose your brand wisely! Identify your needs properly so that you are clear about the kind of mixer you want. Once you’re clear about the primary factors, you can quickly determine the kind of brand you want to buy from. Since each brand caters to different needs. There would be no point in the purchase of a digital mixer that doesn’t meet all your needs or one that has extra features, which you paid for but won’t use. One of the most important aspects of buying not just a digital mixer but basically anything is setting a budget. The budget factor is best dealt with as early as possible. When buying you should keep in mind that with increased quality, comes increased prices. Low priced mixers can have reliability issues and can be harder to learn and in turn, will cause less efficiency. How good is the digital mixer console’s interface? Do you think you’ll be able to learn it quickly? Some digital mixers are difficult to use, and the user may need to watch tutorials and take classes from a professional, and that is not something a user needs added to their plate; spending money on the mixer and then in introductory classes. Most digital mixers have the outlook of an analog mixer but have the working of a digital mixer such as memory, built-in effects, etc. Buyer should take into account the person who will be using the digital mixer. Whether they’re using it themselves or they’re buying for someone else. In the case of the latter, the buyer should take into account the technical capability of the person. Do primary users need to be given restricted access to functionalities etc. When buying a digital mixer, make sure to be clear about the number of input signals the mixer will have for use in the present and future. For example, some models have a fixed number of inputs such as 32 or 42 input sites. While some digital mixers have the capability to expand when needed to more input sites by using outboard rack units. It also helps to decide the number of outputs and the type of output sends you will need. It would be better for you to have the option of auxiliary, matrix, direct, overflow, seating outputs. You should also consider the size of the digital mixer. Digital mixers are usually smaller than analog-digital mixers. Do you need one? You should decide whether you need a digital snake in your mixer or you can work with the usual copper wire existing analog snake? Some digital mixers connect like analog mixers, and then there are those that have a stage box that stores all the input connections, converters, etc. Do you need your mixer to interface with other devices as well? You’ll need to save the mixes you create and edit in a safe place where they can be reachable as well. The mixer should be able to transfer the audio files onto a USB or to another device from where either you can store it and upload it to a website or onto a cloud storage etc. Some digital mixers have a playback functionality; they allow you to play the audio file you’ve created or boot up saved files, ready to play. This is commonly used for the digital mixers used in concerts etc. Does the product manufacturing company offer 24/7 support? If so then that is a plus point when buying a digital mixer. They provide assistance for any performance issues etc. Allen & Heath is an England based company specializing in audio consoles for commercial use, clubs, etc. It is among the pioneering companies manufacturing mixers. 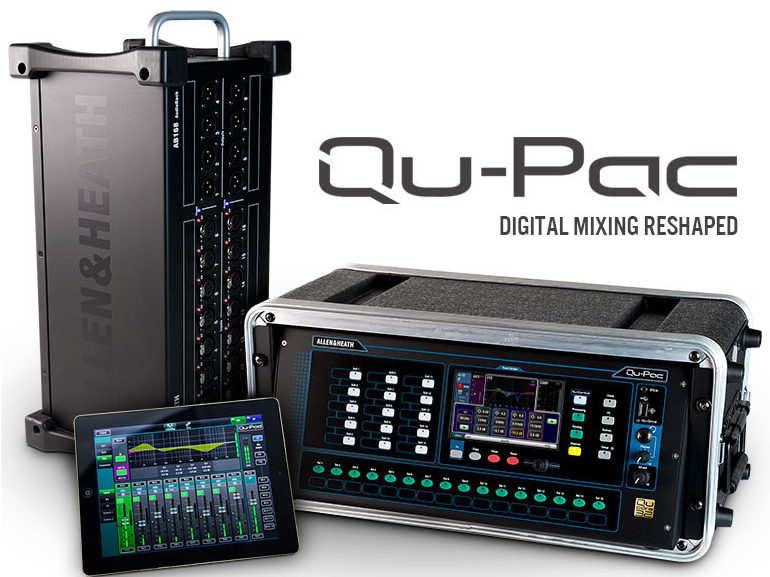 Since Allen & Heath is a manufacturer of state of the art mixers, therefore, it only fits that the best manufacturer produces a digital mixer, QuPac. Qu-Pac carries forward the legacy of the Qu family and reduces the size into a more compacted more manageable size. With technology advancing at a rapid pace, users need their devices to be accessible from anywhere, and Qu-Pac does just that! Qu-Pac allows the user to mix from their iPad, but one can access more advanced functionalities through its interface. Read product description and reviews. Controls iPad app available for mixing controls live. Behringer is known for making budget friendly and effective products. It is ideal for professional use both for recording in studios and for live shows as well. It is easy to handle and use. Behringer X32 System also supports the use of Apple products when connected with them. 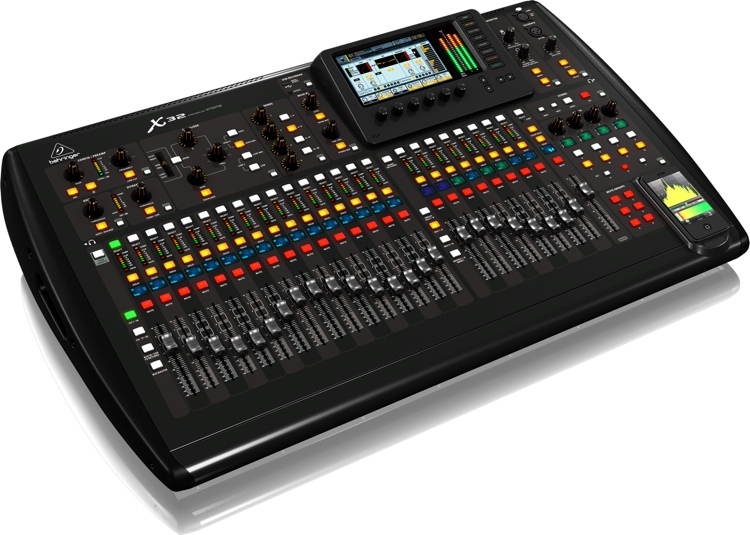 The X32 dominates the market for under budget friendly digital audio mixing consoles. 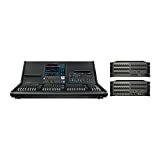 Behringer X32 is similar to most digital mixer consoles where input and output are connected to each other through routing matrix to the inner digital core processor. It provides external storage options for uncompressed recordings, pre-recording for shows, etc. It allows adjusting the input and output lines. Read product details and reviews. Yamaha makes it their mission to stay in touch with their customer base and cater to the needs of its users. It strives to provide to the users’ creativity. If you’re a beginner, the Yamaha TF series, TF-RACK is the right choice for you but, at the same time, it consists of ample features to satisfy a professionals’ needs. Yamaha’s TF is centered around their Touch Flow Operation which is optimized for its touch screen panel. This allows the user to perform operations and access its functionalities through familiar touch screen functions. Read product details and reviews. This digital mixer is very popular among users who like to have access to full functionalities of a digital mixer but in a smaller size. It connects to a tablet easily so the user can maneuver the controls easily due to a more manageable size. Its users appreciate its features and performance outputs such as: equalizing and dynamics, sound effects etc. But in order to record audios, you’ll need a PC or a Mac. 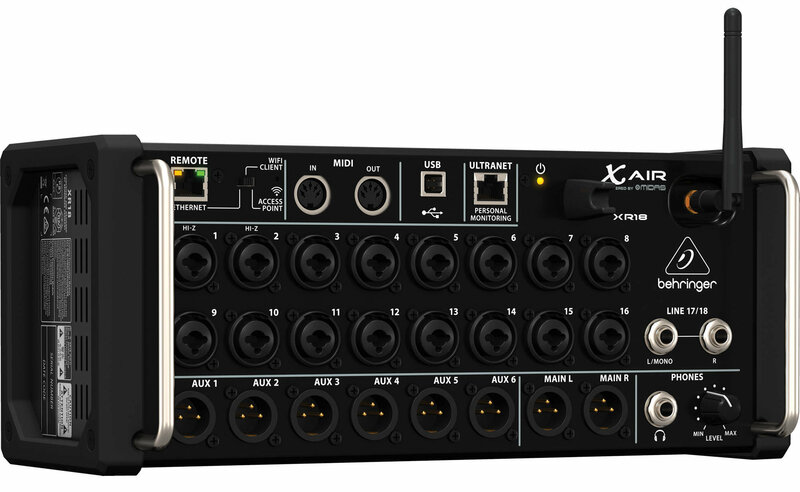 The x Air XR18 itself is a lightweight, easy to use digital mixer. Apart from its winning technical features, another positive point of this digital mixer is that it is budget friendly. Read product details. The M32R is a lightweight digital mixer, heavy on the performance side. It’s a rather compacted device but has the looks and performance to match its rival mixers. The interface is sleek and easy to understand, all sections are properly divided into sections, in short, no cluttering of controls on the interface. It’s easy to learn and use which only adds more brownie points to it. Midas claims that the faders are rated for 1 million life cycles. The M32R has a network that allows for Wi-Fi connection between the M32R and a range of apps. It also allows Mac and PC users to access its functionalities remotely as well as, including a preview of saved shows, recordings etc. 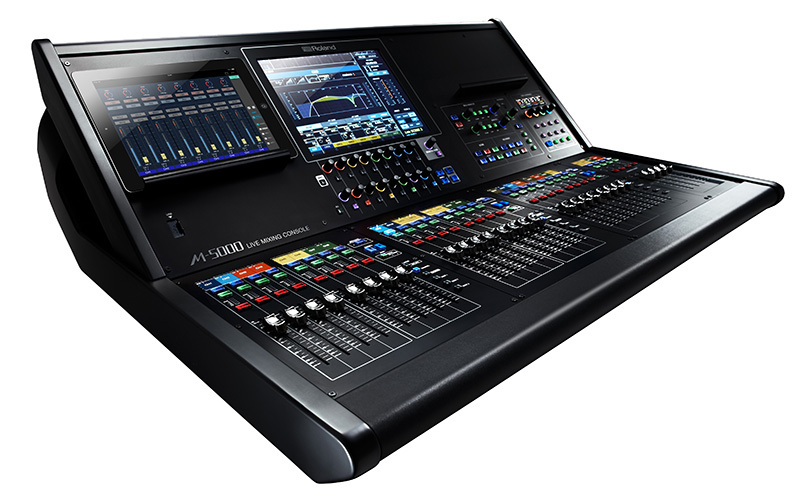 Read more about Midas M32R Digital Console. Yamaha is one of the oldest and most famous sound companies in the market. Their primary concern is their user, they strive to make products that cater to their user’s needs as well as those that take their ideas to the next level. 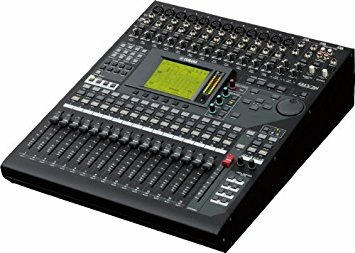 Therefore, the Yamaha MGP32X mixing console is among the top digital mixers of 2017. It consists of a wide range of features with easy to use and easy to access functionalities. It also includes USB recall of audio files and saved recordings and with the ability to store graphic EQ. This digital mixer provides a considerable amount of features compared to a classic analog desk. 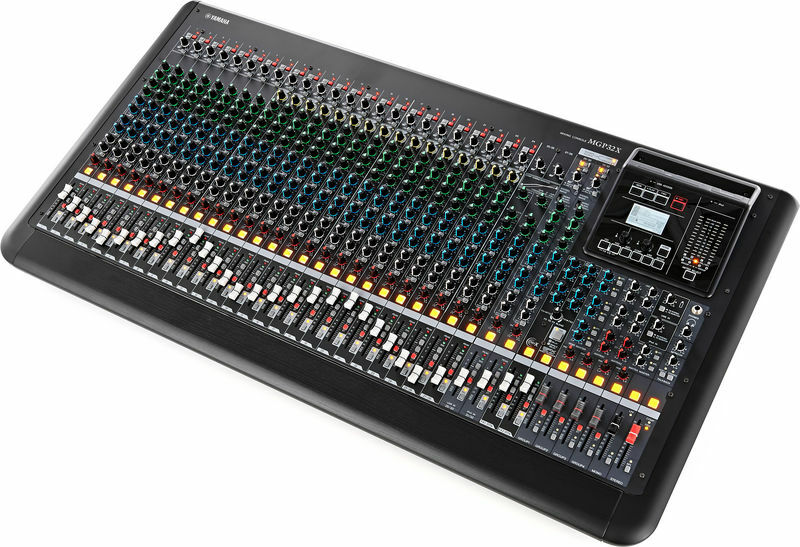 Read more about Yamaha MGP32X Mixing Console. 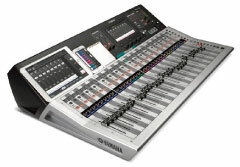 The Yamaha 01V96i is easy to use the high-performance digital mixing console. It resides on the success of its former models of digital mixers; providing its duties two-fold, with live sound mixes and recordings. It consists of some notable features among which is the onboard DSP that allows the creation of a range of dynamics, EQ and effect processing. Read more about this digital mixer. M5000: 28 Faders, 128 audio paths assignable as channels, auxes, subgroups, matrices, mix minus, 12" touch screen with integrated "touch and turn"
Since there is a lot of saturation in the media market, companies and products keep emerging every day, all with newer and more innovative features. Not to mention the competition in prices, people will always prefer to go with the option that is cheaper and gets the job done. 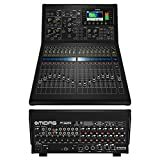 However, it is true when they say “you get what you pay for”; the Roland M-5000 although a little steep regarding its prices has proven to live up to the expectations of its users. Released in 2015, Roland has managed to produce a digital mixing console that is mature enough to cater to a professionals’ needs. Roland refers to the M-5000 as “OHRCA,” which means “Open High-Resolution Configurable Architecture”. 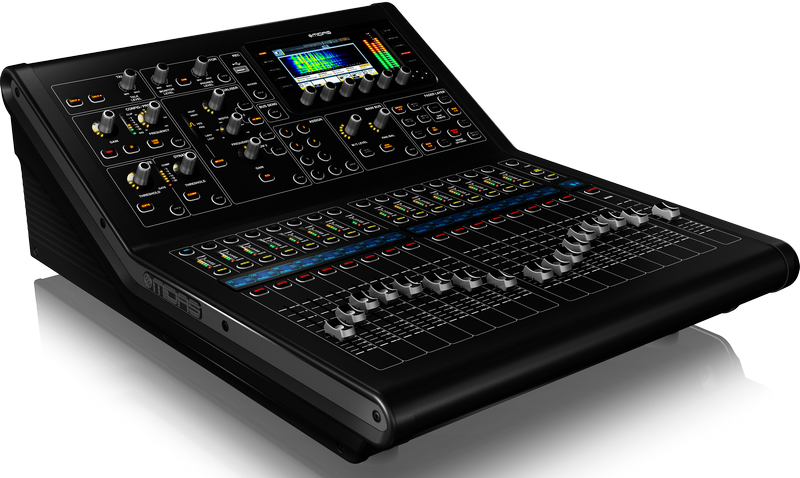 Its design surface also indicates its caliber of being a high-end mixing interface. Read product description and reviews. Mackie is one of the pioneering digital mixer manufacturers in the market. With its new ProDX series mixers, Mackie brings powerful wireless digital mixing consoles that are high performance and easy to use. 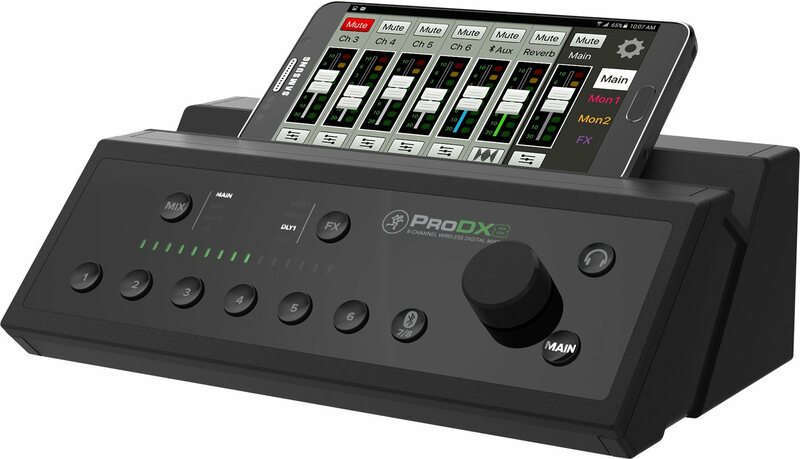 The ProDX series does, however, require some hardware support such as a necessary toolkit and a powerful processor, as well. This series focuses more on performance and has put size on the back bench, its compact size and sleek and professional outlook make it the perfect choice if you’re looking for a portable and high performance as well as easy to use digital mixer. It enables the user to access its functionalities remotely i.e. from other objects, for example, iPhone or iPad, with its inbuilt processor and easy to use interface, the ProDX8 is high on performance. Read more about this wireless digital mixer. 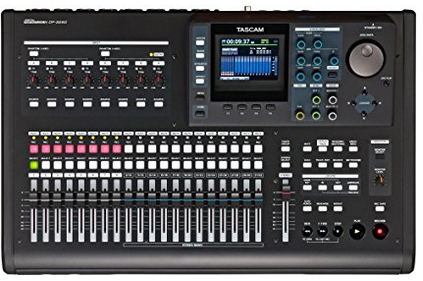 TASCAM is a Professional producer of digital mixers, recorders, and similar consoles. As the name suggests, you can consider it as a portable studio in itself. Internal processing is a very affable feature, input processing chore such as compression are available while recording is in the process. It consists of a colored LCD and a strip of knobs making it easier and taste for the user to operate, as well as nurture creativity. This mixing console is the company’s biggest mixer up to date. Read more about the product details and reviews. The field of music is a dynamic field, constantly changing. With the advancement of technology new featured digital mixers and gadgets are coming out by the dozens; new companies keep popping up with their new devices and their versions. But even with the vast range of choices, as a buyer, you need to think only about your best interest. Review each mixer, compare it with other digital mixers available and then decide which one suits you best and will give the best output. All the best and Happy Mixing!